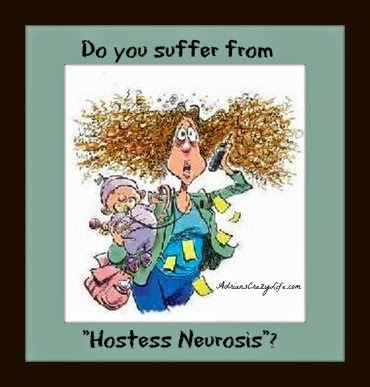 Do You Suffer From "Hostess Neurosis"
Do you suffer from hostess neurosis? You know that HORRIBLE feeling when you’ve got guests coming over and the house looks like a complete TRAIN WRECK?? That’s about the worst feeling in the world. I know I get very stressed out if I have guests coming over when I don’t feel like my house is looking good. We’re talking VERY stressed out. I think it’s the one time when my family truly dislikes me. I have to say, I can’t blame them. Who would like that crazy lady running around screaming at everyone and scrambling around shoving things into closets. I had a moment like this recently. It was 11:15 and my son’s birthday party was starting at noon. There were dirty dishes in the sink, the trash hadn’t been emptied, and my son’s camping gear was in the entryway. And I still needed to pick up the pizza and set up the extra table and chairs. So, of course, I did the logical thing. Of course, I started running around like a chicken with my head cut off! I was yelling for everyone to work faster and get everything cleaned up. And I was feeling awful for letting the house get into bad shape. Not a good scene, especially for a birthday party, which should be a fun occasion! I know, I should just keep the house in good shape to avoid these situations. It’s a work in progress. I’ve gotten a lot better about keeping on top of things compared to a decade ago, but it’s still a train wreck some days. Usually I start pulling the house together a few days ahead of time. I try to do a few necessary chores each night. But this was such a busy week, I wasn’t home even one evening. So, what’s the solution? Well, I’ve learned that my family takes it much better if I bargain with them instead of handing out assignments and being all demanding like the grand High Poobah. Things like – I’ll take the kitchen if you’ll clean up the TV room. Or I’ll sweep the floor if you’ll get the food for the party. Or I agree that if they’ll give me an hour of housework, they can take a little time for TV or games. I’ve also found that if I set a timer we can get more done in a shorter time. I’ve also learned to be more realistic about what needs to be done and what doesn’t. If the clutter is mostly picked up and the public areas are reasonably clean. Then, I don’t worry as much about the little nitpicky things. 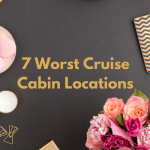 I try to focus more on showing my guests a great time rather than fussing about my house. If people are my friends, I know they aren’t coming to my house to judge me. And honestly, they usually have a great time. The one thing I don’t do is let a messy house stop me from inviting people over. We love to entertain and usually have guests over every few weeks. And I love to have big birthday parties for my kids – the more the merrier. I invited ten teens boys over here for my son’s birthday and they had a blast. A lot of my Facebook friends seemed to think having a mob of teens around was the equivalent of Bulgarian torture, but it’s not so bad. I fed them some pizza and cake, let them play some video games, and then took them for a round of laser tag (I had a discount coupon). Then I let them play in the park for an hour or so. I was kind of tired after all that, but that’s not so bad, and the boys had a great time. 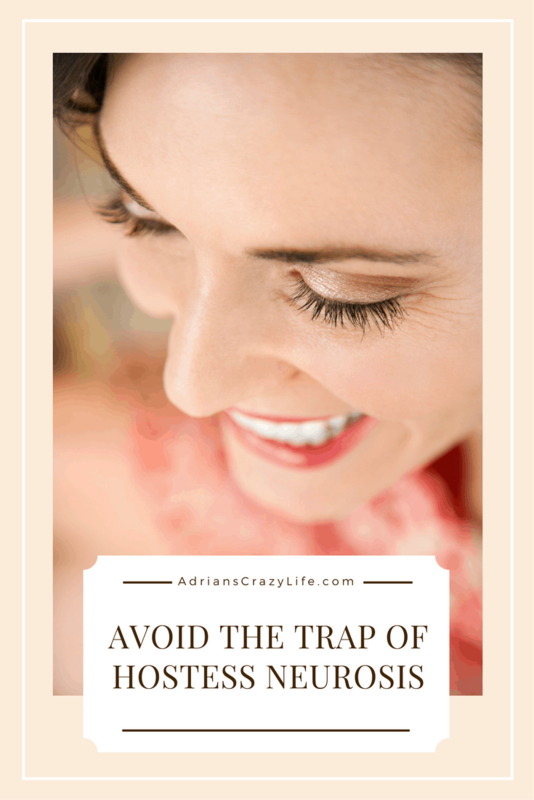 What can you do to avoid the trap of Hostess Neurosis? Do you Suffer from Hostess Neurosis?